Also called "Freedom Day" or "Emancipation day"
A secular celebration inaugurated in the early twentieth century to complement Mothers’ Day, in celebrating fatherhood and parenting by males, and to honor and commemorate fathers and forefathers. Fathers’ Day is celebrated on a variety of dates worldwide (for the US, the third Monday of June this year). The May BOD meeting was not held, since there did not appear anything that needed to be discussed. At present, our location will remain the same through the generosity of our landlord. He is also allowing us to continue with ad hoc General Meetings for the foreseeable future. .At the May ad hoc General Meeting, David Steward provided some technical discussion and answered related questions. He also touched on some other items of general interest to the 10 people in attendance. Questions were again forthcoming about Alamo PC and the Organization's future. The basic answer was, "We have no money, members are dwindling, the PC Alamode editor has resigned, and we are basically an ad hoc organization." Those present seemed to understand the difficulties leadership has faced, given the expenses (which have been eliminated) and declining membership. Some again indicated they were surprised the leadership had been able to keep the organization functioning for this long. It is late May and David Steward has indicated he will continue to be the presenter for future ad hoc General Meetings (next is Jun 14th), unless he can get another presenter scheduled. The meetings, unless otherwise noted on the web site, will be at our current office location ( 4888 Whirlwind). It is once again in David Steward hands, so we will have to wait to see what actually transpires! Since things can change, even at the last minute, check HERE for the latest information about the General Meeting, which begins at 7PM. Whether the Alamo PC magazine (PC Alamode) continues to be published or not is now up to David Steward. As I previously mentioned, the editor has resigned. At this point, it is almost pointless to reiterate that overall lack of interest in User Groups at the corporate and membership level, and ever declining Alamo PC membership. But, that is the status. Also. with the declining number of individuals who are currently serving the organization in a board member capacity, and who have been willing to continue serving until now, the "lights have all but go out" permanently on an era. Being a member of Alamo PC since the early 90's, and having tried to serve the Organization in various capacities has been a great experience. 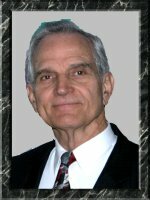 But, as I have previously stated, the mission of Alamo PC when started was "to increase its members knowledge and effective use of personal computers through presentations, instructional programs, other membership services and access to the expertise of other members." Over the years that mission has been accomplished, albeit with declining effectiveness. We should be remember that individuals born since Alamo PC was founded in 1983 have grown up with computers. Also, most individuals who were about 25 then were associated with computers through their jobs, and those who were about 50 have moved to the 75 year figure. Many of the latter grouping are no longer with us. "the future of OUR organization ... [has rested] ... in the hands of its members (however few they may be). Whether WE continue (or not) depends on OUR interest and involvement. A Board of Directors cannot keep an organization going without members." My wife and I will be moving to another location in Texas sometime in July (best guess at this time). Therefore, I will be resigning as President of the Alamo PC Organization at the end of June (last day). Therefore, this will be my last posting of the "President's Message." My thanks to all for allowing me to try and serve each member throughout my time with Alamo PC, and especially during the time I was permitted to serve as the President. Although I have some misgivings about the effectiveness of my service, it has been a great time. Anyone having questions regarding any area addressed or any matter pertaining to the ad hoc Alamo PC Organization, and any future proposed plans should refer them to Steven Tech or to me at either one of the following: president@alamopc.org (Until Jun 30), or privately. We will try to provide information relating to the request.